Our last BIG girls trip to Bali, Lombok and Singapore held us over for a substantial amount of time (1.5 years), but it was time again to scratch that itch for another adventure! This time, we took over South America! As our last trip (Bali, Lombok and Singapore is still being transferred from my last website) came to fruition by the girls turning 30, my mother's notable birthday (70) was cause for yet another adventure. True, we don't need an occasion to travel, but it helps provide us with an excuse to leave our day-to-day, busy, robust lives. We packed in three countries, 1 natural wonder of the world, 1 seven wonder of the world and 6 flights into 10 days; this group knows how to move! This style doesn't work for everyone, but for us, we like to mix and match our trips. See and do as much as we can without burning out, but also leave time for relaxation and a possible massage (or two). Our first leg landed us in Chile! 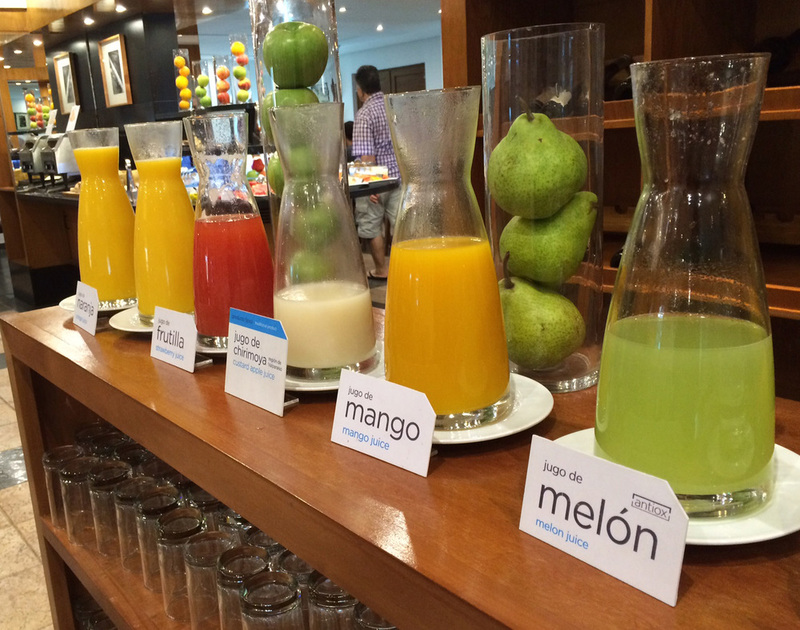 We started each morning with a breakfast consisting of fresh juices, homemade breads, fruits and granola. On our Chile stay while everyone else engaged in omelettes and scrambles, the chef generously created for me a vegetable saute with a side of avocado; pure perfection. One of my mom's quotes from childhood "you don't ask, you don't get", rings true when it comes to my diet. Most chefs are willing to accommodate if you just approach them with kindness and gratitude. Not every country provided me with such a wonderful breakfast, but Chile started us strong and I was extremely grateful for the ease of substitution. 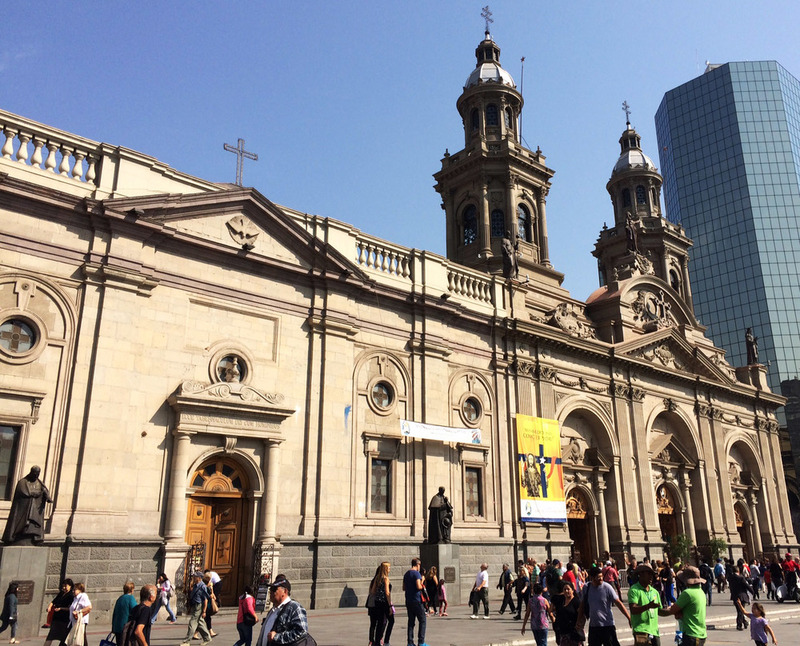 From there we explored the streets of Santiago and Valparaiso. 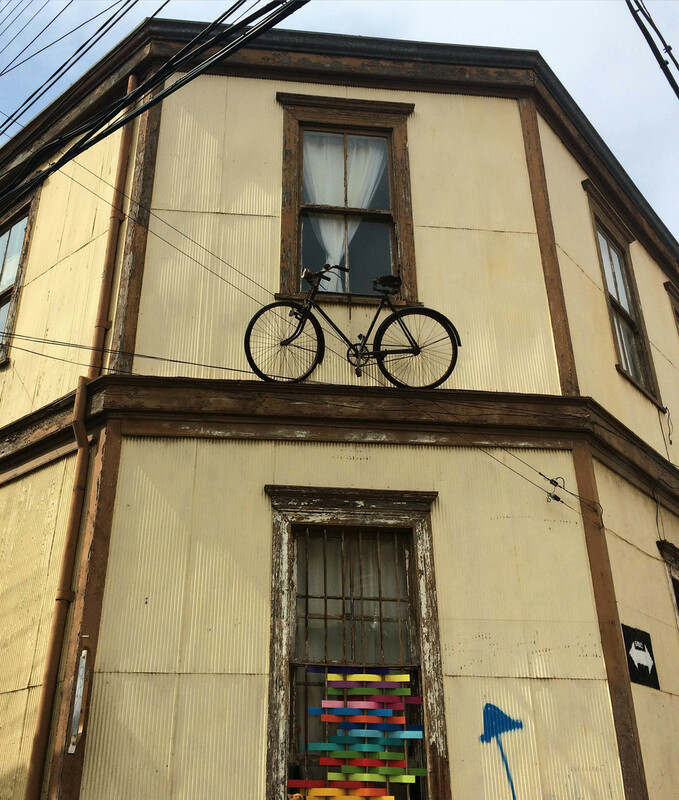 The next stop Valparaiso was a little, artsy town tucked away above the city among tiny, winding roads. Cute cafes, bohemian shops and amazingly talented street performers converge to make this port town worth a venture. From the top, we made our way to the bottom by way of Ascensor Reina Victoria; a rail car built in 1902 and opened in 1903. Considered a historical monument, it is one of 16 that exists in Valparaiso. From there, we made our way to Vina Del Mar–a beach-side town with an eclectic mix of restaurants, castles, parks and a single random casino. Strange? A little bit. 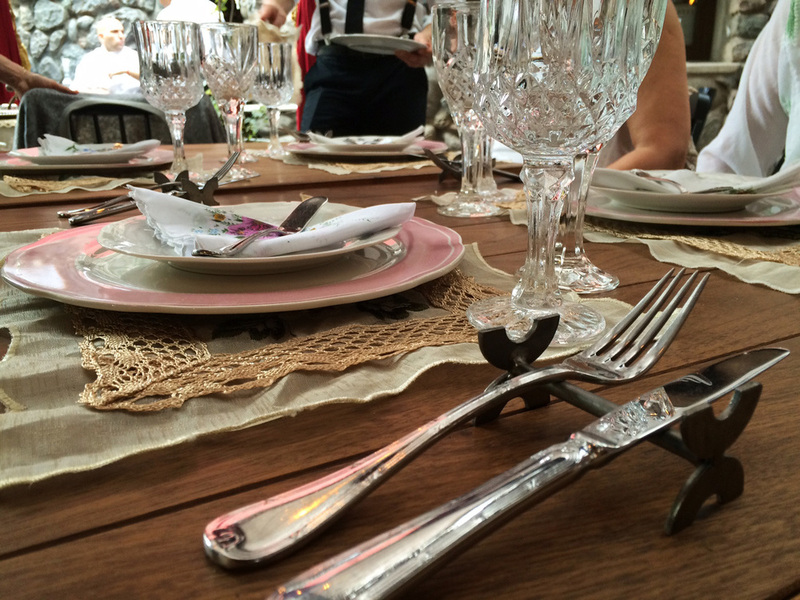 Sadly the restaurant itself was poorly staffed and our 45 min lunch turned into an almost 2 hour affair. The best take-away was knowing how much I love avocado with chives in sushi. Who knew?! Later that evening we were told about the historic Hotel Castillo Rojo that shares space with restaurant Cabildo–a recommended dining experience. We wardrobe changed and jaunted on over. The Castillo Rojo unites the old world and the new world with historic intricacies and modern renovations. An overnight stay is a costly affair, but a dip into the lobby and around back to Cabildo was satisfactory enough to curb my desire. When I stated earlier that Chile started us strong, I wasn't lying. Our entire experience starting with the restaurant opening early (just for us) to ending the evening with the head chef appearing to proudly proclaim he had lost 40 lbs on a plant-based diet was phenomenal! Not the greatest picture, but I had to give this man a shout out! He's even holding his green juice! The chef was excited to receive his first all-vegan-meal request that upon finishing our meal, he came out to tell me his story. Did it give me all the feels? Totally! I was so incredibly happy for him and his journey. I, on the other hand, couldn't stop gushing over the delicious and thoughtful dinner he had prepared for me. While everyone received their amuse-bouche, I chowed down on some bread assuming I wouldn't receive one. No biggie, but low and behold a special vegan one appeared! Left out? Not at this dinner! This, plus the off-menu entree, were both fantastic. Everything was incredibly flavorful, hearty and full of ripe avocados! It's like he knew me. The salad consisted of fresh greens, hearty roasted potatoes, marinated eggplant, chunks of ripe avocado (PLUS an extra side of avocado), lemon, olive oil and pepper–a very satisfying dish, meal and experience. For South America, I stuck with many of my go-to's, but switched up a few of the snacks (not all snacks pictured here). Alba Body Sunscreen | Alba Face Sunscreen Alba has become more and more mainstream by becoming an easy option available in Target, Walmart, Amazon, Thrive Market and Vitacost. I've been using their products for a while and I'm a fan of both their body and face sunscreen. They are light-weight, reef safe and biodegradable. They don't test on animals and contain no parabens or phthalates while still leaving you protected. Schmidt's Deodorant I have always been a stick versus jars kinda gal and now Schmidt's has finally introduced sticks into their product line. Luckily this trip was after Expo West and I was able to grab one from my product haul. As much as I love the strength and the pureness of the ingredients; I've come to realize I am a part of the select few that errs on the side of baking soda sensitivity. I tried to ignore, I continued to use, but the irritation started to become too much to bare. For most, this isn't an issue and I will continue to tell others about Schmidt's, but at this moment in time, I have had to swap to Lafe. Shikai Borage Hand Cream I came across this product scouting for another Traveling Vegan trip and I've become an everyday fan. I have a big bottle at home, a mini hand cream at work and the size above put aside solely for traveling. Sovereign Silver First Aid Gel Knowing that we would be heading to Iguazu Falls, hiking in the heat to Christ the Redeemer and walking the streets in each location; it was better to be prepared then not. Sovereign Silver First Aid Gel can be used for multiple purposes and one of my best Traveling Vegan musts. Enzymedica Digest Gold Why do you girls carry such big purses? So they have enough room to carry their daily supplements thats why! HA! Yes, I do keep a bottle of Digest Gold in my purse at all times. It's not just a great product for vegans, but for those walking, working, living, breathing; everyone! Digest Gold contains beneficial enzymes to break down carbohydrates, glutens, raw vegetables, sugars, fats and dairy products while helping your body absorb more nutrients from foods you consume. Unless you are solely eating food from your personal farm, you will inevitably ingest a disagreeable item that may or may not stay in your system. Daily use of digestive enzymes can assist in providing a copacetic internal environment. Gaia Herb Turmeric Supreme Turmeric is a natural, powerful anti-inflammatory and a wonderful supplement to travel with or even take on a daily basis; which I do. I was recently informed by my naturopath that with the use of black pepper, the absorption of turmeric is improved. Gaia Herb Turmeric Supreme contains black pepper extract, making it an all-in-one. Host Defense MyCommunity On my last Traveling Vegan trip I took Four Sigmatic Mushroom Tea as my immunity support supplement. I can proudly proclaim I foiled any plan the outside elements had and I did not get a lick of sickness during those cold East Coast days. Fot this trip, mushroom tea wasn't the best option as each day started differently. I still wanted to ensure the potent mushroom made it's way into my system so I went with my old time fallback, Host Defense. Sadly, I didn't catch whatever was brewing because I got pretty ill while traveling (Next post). 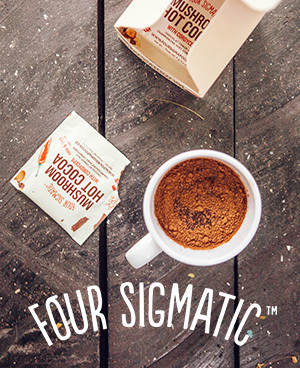 Is it coincidence that the month prior I ran out of Four Sigmatic? Hm. Something to ponder. Dr. Bronners Lip Balm As I've been using Dr. Bronner's All-in-One Castile Soap for a while, I didn't think to question their products. I gave the lip balm a go thinking it was created upon the same principles. I didn't realize till this trip that it contained beeswax–.a controversial subject within the vegan community. I don't feel I need to get too political here, but I will say that I try to avoid beeswax due to the process in which it is obtained. Some companies claim they do not harm the bees when the wax is taken and others choose not to comment because they can't guarantee that no bees are killed. In general, the rule of thumb is if it's created by bees for bees, we (humans) should not interfere and/or exploit. I try hard to acknowledge, but there are times when it slips through the cracks. I don't fault myself for it, I just continue on and know for next time to avoid. We try our best and at the end of the day I know I'm doing more today than I had in the past to ensure the survival of animals, humans and our planet. Health Warrior Bars I've taken these bars with me on most of my Traveling Vegan trips. They are an easy source of readily-available energy and they fit conveniently in purses and in my luggage. Taza Chocolate Tazitos In case my sweet tooth starts to tingle, I'm covered. While traveling I feel dessert is the item most overlooked or unavailable for vegans. Usually there is fruit as an option, but I try hard not to mix fresh fruit with my meals (food combining) and it doesn't really curb the chocolate cravings if you have them. I figure, I'm on vacation, I'm allowed a free pass on chocolate AND if it's gourmet, stone-ground chocolate like Taza; I'll have no need to complain when a restaurant does not offer an option. Arjuna Ginger Bar Ginger is well-known for relieving digestion discomfort, nausea and motion sickness. When I travel, 1 or all 3 tend to arise–I have what you call the anti-iron stomach. Keeping ginger on hand is a great aid. This year, I came across this bar. The only downfall is I wish it came in a resealable pouch. The bar is strong and I could only have a small bit a time or really only need a small bite at a time. That's not a bad thing, but it does prove to be a challenge while traveling. Superseedz Pumpkin seeds are at the top of my "Best Snacks List" especially when it comes to long car rides, flights, physically exerting exercises or excursions. They contain a fantastic amount of protein, zinc and iron while providing you a powerful fiber boost keeping you satiated and full. While traveling my diet can waiver and pumpkins contain the right amount of nutrients to keep me going. Superseedz have tiny to-go options with delicious flavors (curry and naked are my favorite). On the way out of Chile to catch our flight to Brazil, I picked up a bag of sweet potato, beetroot chips called Tika. They reminded me of our Terra chips, but better. For chip lovers like myself who want a superior option to Lay's (Lay's is everywhere when you travel abroad), I recommend Tika. It was now time to say Adiós to Chile and Olá to Brazil!